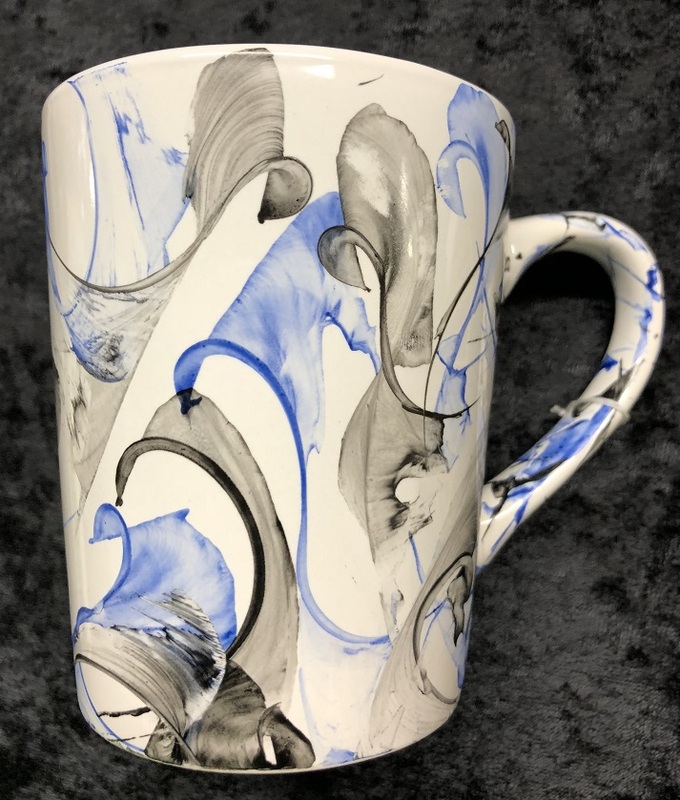 Coffee mug hand painted in Abstract in Black and Blue. 14 oz. Microwave safe. This has been kiln fired but I recommend hand washing. Great gift for the man in your life. 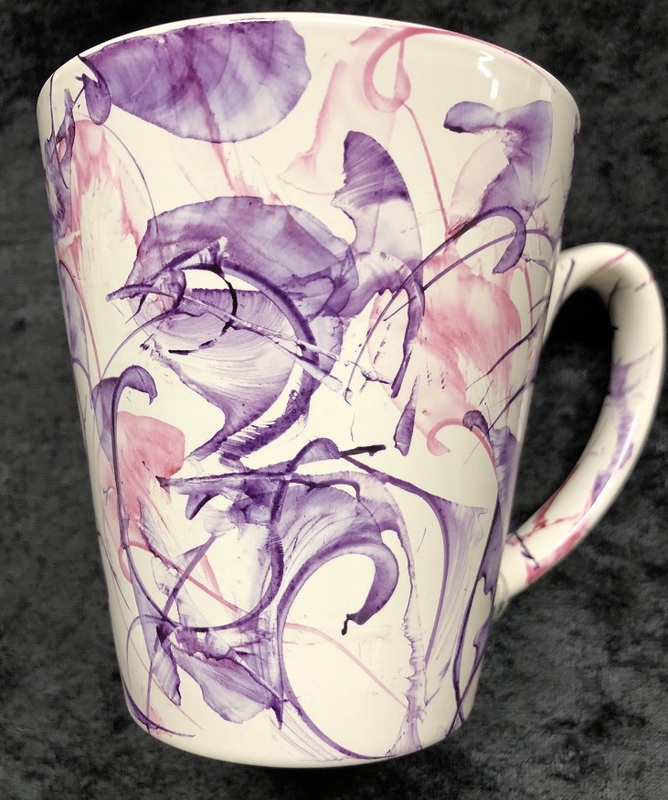 Coffee mug hand painted in Abstract in Pink and Purple. 12 oz. Microwave safe. This has been kiln fired but I recommend hand washing. Great gift to give or enjoy you drink in it. Tray is 14 1/4 inch x 6 3/4 inch. Sometimes called a sandwich tray. Old fashion covered bridge is painted on it. 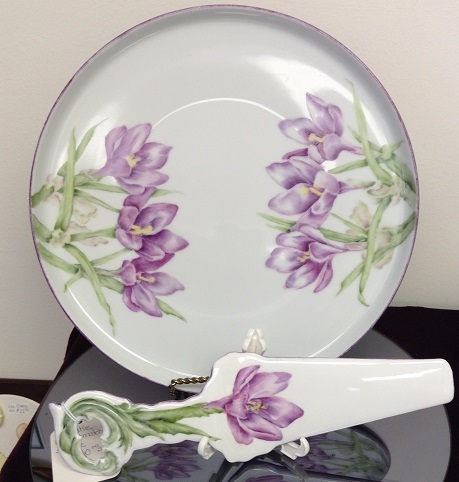 11" Crocus Cake Plate with matching Server. These make a beautiful way to display a special cake or cookie tray. 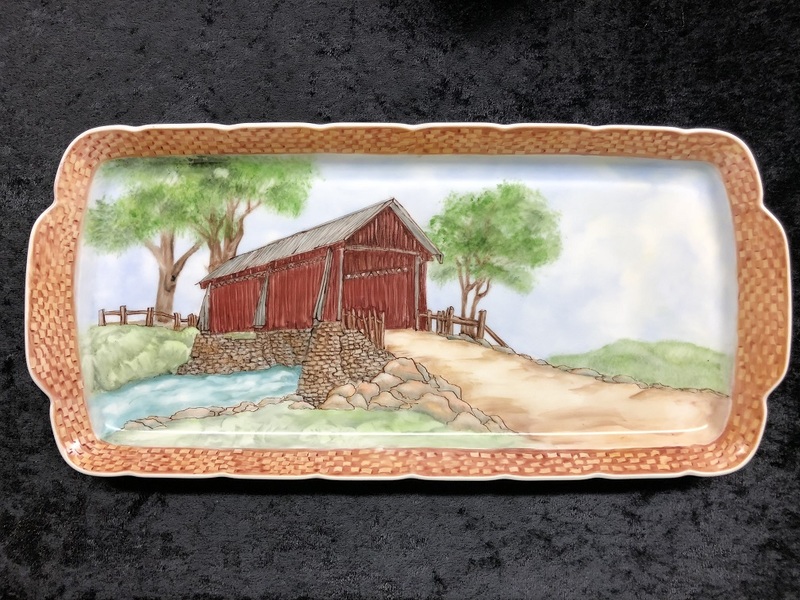 Perfect for gifts or to use for entertaining in your home. 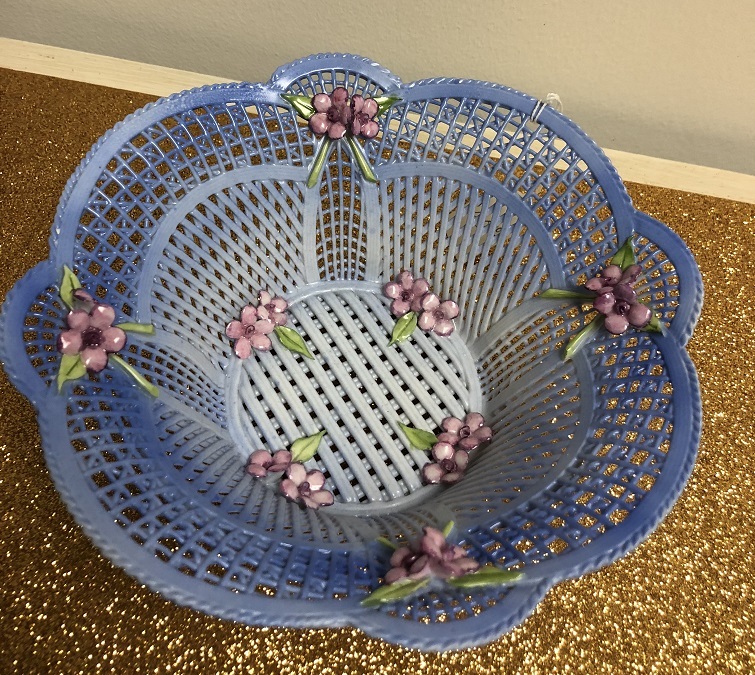 This open weave bowl 7 3/4 inch W x 2 3/4 inch H was created by RomAmerica Fine Porcelain. Painted pink blossoms decorate the shade of blue bowl.